Immerse yourself in the wonderful world of film at the Arthouse with a weekend stay at our movie themed hotel in Liverpool. If you’re a film fanatic, or maybe you know someone who is, the Arthouse Hotel is the perfect place to celebrate a special occasion, enjoy a great night out in the city or just sit back and relax with a classic movie in stunning surroundings. Each room in our unique hotel is themed around a classic film, director or icon, making it a hotel like no other. 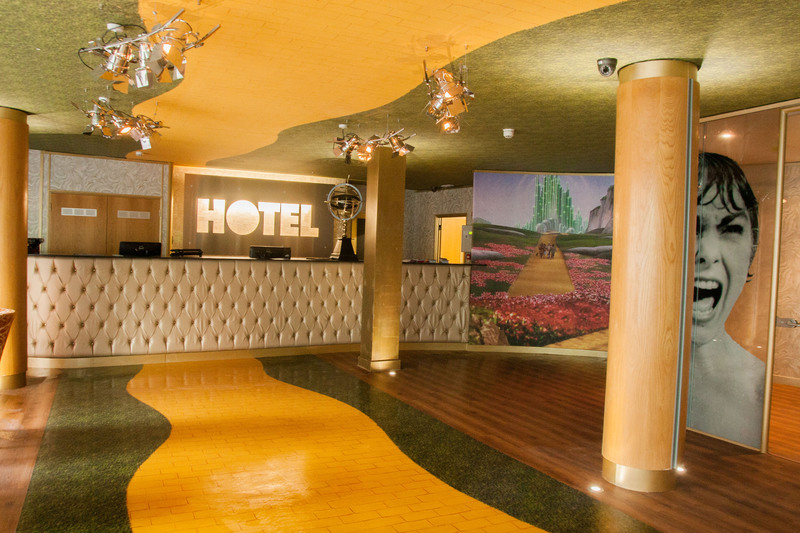 Take a walk down the yellow brick road and book a weekend stay to remember at our magical hotel. 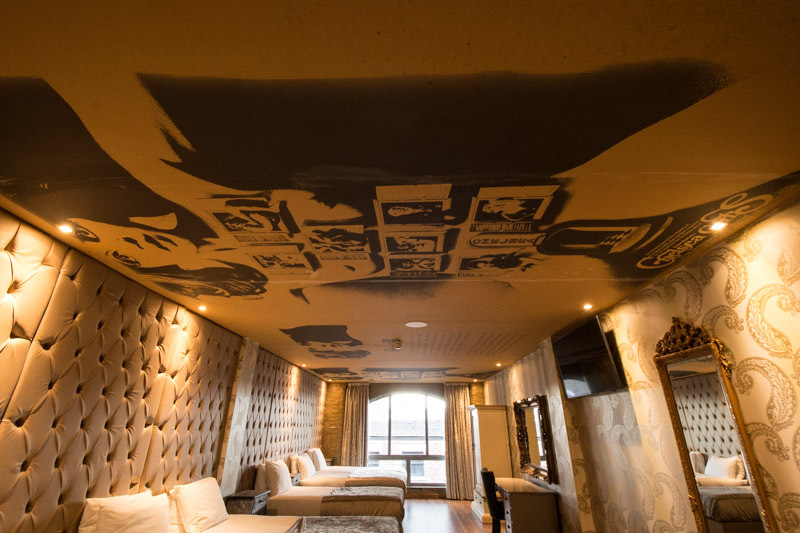 At Arthouse Hotel, there are three fabulous floors each designed with a movie themed concept in mind, from musicals to thrillers, there’s something for everyone. The first floor is for iconic musical movies such as Grease, Mary Poppins and Chicago, delve into the glorious world of the T-birds and Pink Lady’s at Rydell High or test out your tap dancing with Bert and Mary. On the next floor you enter a haven for horror fans, with rooms based around Hitchcock’s thrillers Vertigo, The Birds, Suspicion and many more. 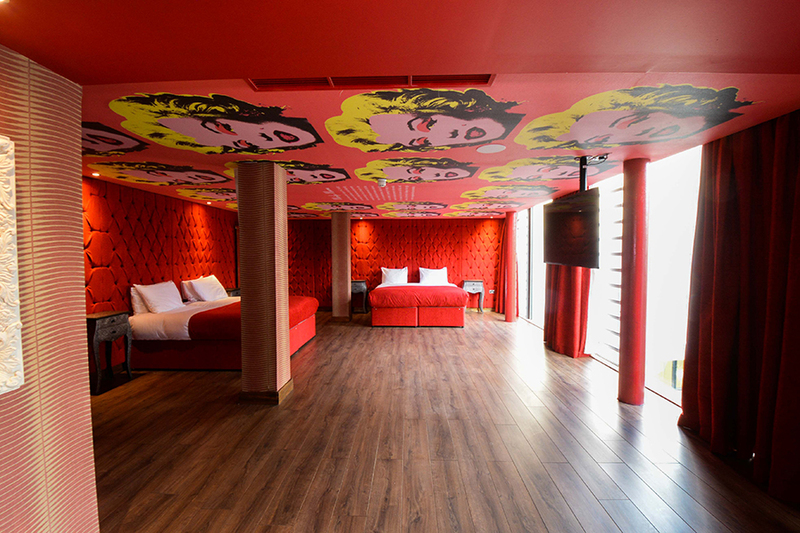 Finally, the third-floor rooms are inspired by the iconic master of mixed media, Andy Warhol. Not instantly known for his movie making skills, Warhol’s movies were controversial of course, which gave them their underground appeal. Whether you enjoy a musical singalong, a thrilling horror or something a little more provocative, Arthouse Hotel has the room for you. Are you fan of classic musicals? Well we are sure to have a room that suits you down to the ground. From beautiful tributes to the amazing Sound of Music, to suites dedicated to Grease, the classic Mary Poppins, My Fair Lady and the magical technicolour Wizard of Oz, our hotel has music running through its veins. Perhaps you like a bit of razzle dazzle, our beautiful Chicago themed room will have you feeling as glamorous as the notorious Roxie Hart, or why not transport yourself into one of the greatest musicals of all time, the stunning Phantom of the Opera. Our magical musical suites will have you tap dancing down the hallways. 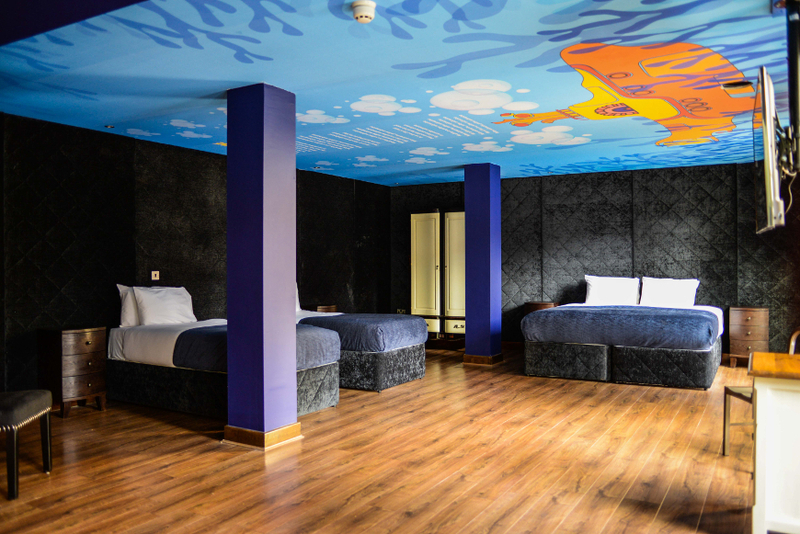 It wouldn’t be a themed hotel in Liverpool without a nod to the fab four, so it felt only right to dedicate one suite to John Lennon and one to the animated musical comedy Yellow Submarine. Inspired by Andy Warhol’s iconic Menlove Ave. album cover, the spectacular Lennon room encapsulates the creativity of Warhol that the world fell in love with. Be transported to the infamous yellow submarine and recall the story of The Beatles’ submarine journey as they travel to save “Pepperland” and its Sgt Peppers Lonely Hearts Club Band from the Blue Meanies. From rooms focused around the infamous Notorious to a stunning tribute to The Birds, you’re sure to have a frightful night. Our fantastic room invites up to six guests to step into a time warp, to celebrate the brilliance of this musical, comedy and horror film directed by Jim Sharman. Last but certainly not least are the glamorous and colourful Andy Warhol rooms. 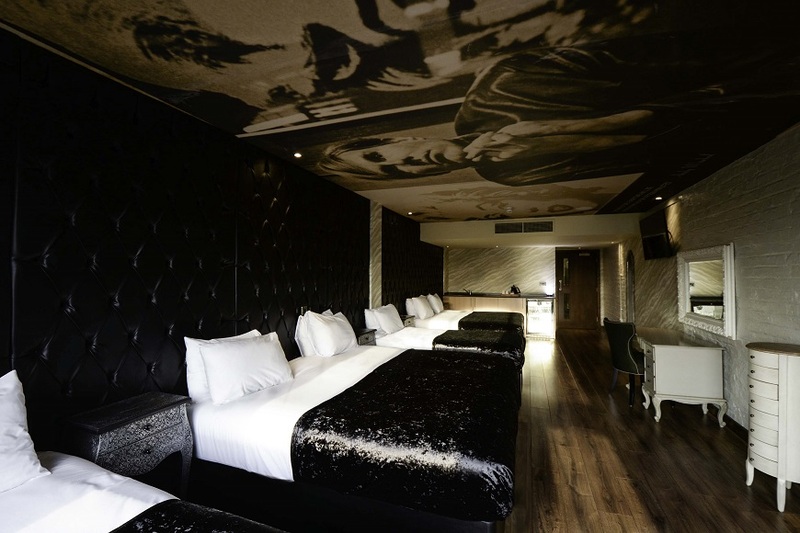 You will find an entire floor dedicated to this legendary pop artist, with suites based on his famous films Chelsea Girls, Empire and Kiss, a special homage to his famous ‘15 minutes of fame‘ quote and rooms that showcase the stunning pop art collection including the Marilyn portraits and the Mona Lisa. 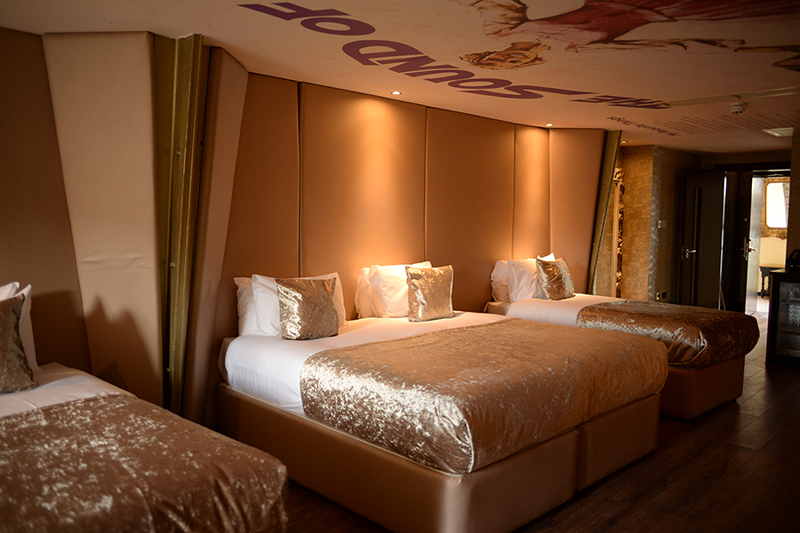 Whether you fancy a trip down the Yellow Brick Road or a visit to the wacky world of Rocky Horror, there’s truly something for everyone at Arthouse Hotel. 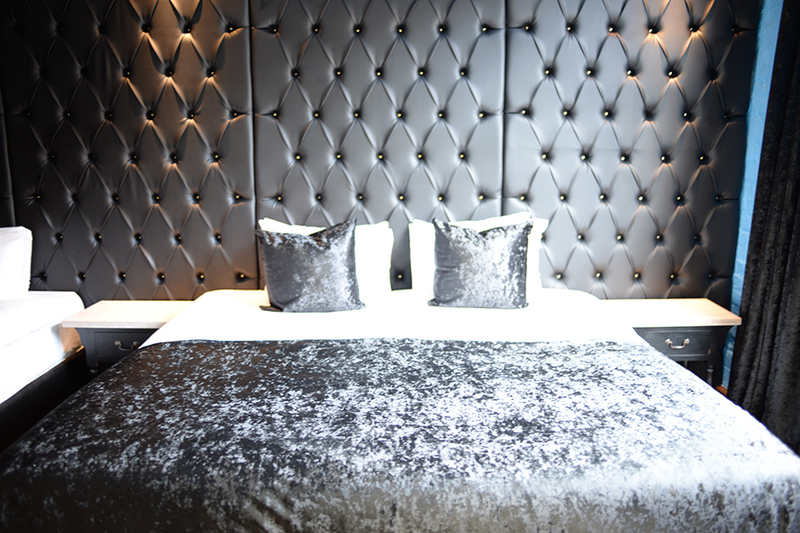 Rich crushed velvet covers and intricate interior make a stay at Arthouse Hotel truly something else. Our rooms feature deluxe interior features, luxury beds and glistening whirlpool baths. Perfect for a weekend stay in Liverpool with the girls or a getaway with the lads, the layout of our hotel rooms offers sociable and spacious group accommodation. 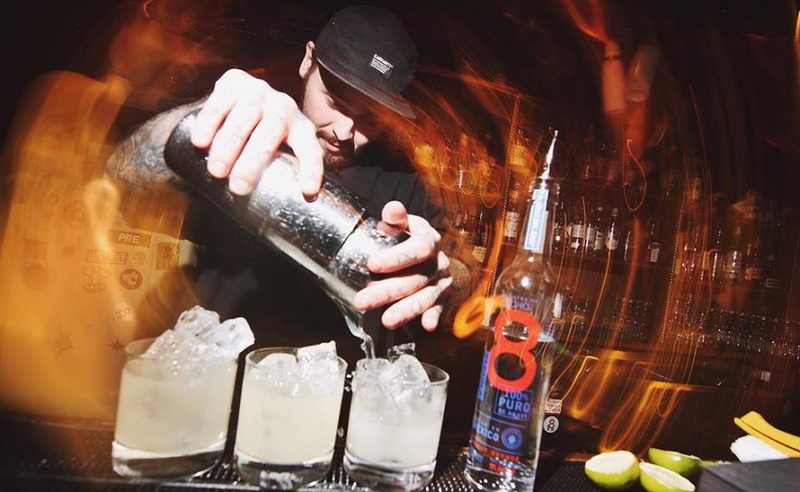 Celebrate the weekend in style with your girls or boys on a Friday night you’ll remember forever. Enjoy a luxury overnight stay in one of our fabulous themed suites, a delicious breakfast in the morning and two-course dinner. 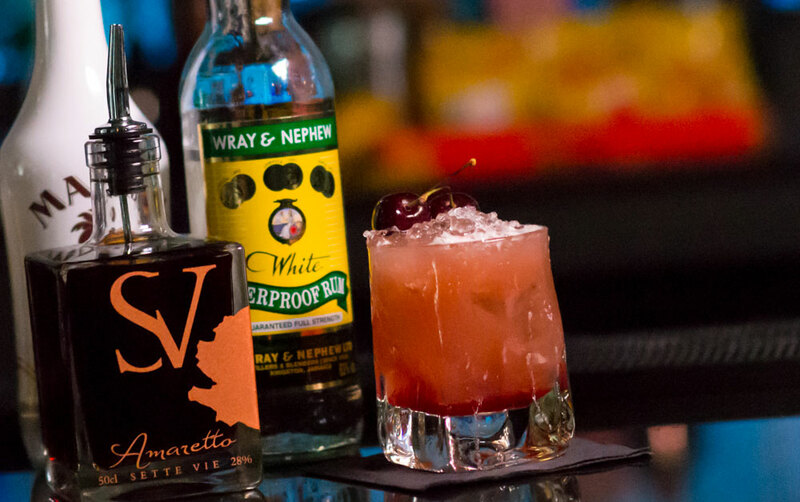 If you’re heading on a night out, you can choose between a booth in either Bar Signature or Noctua with £25pp, with added extras including pampering and party bonuses. This fun Friday offer is just £99 per person, with a minimum of four guests. 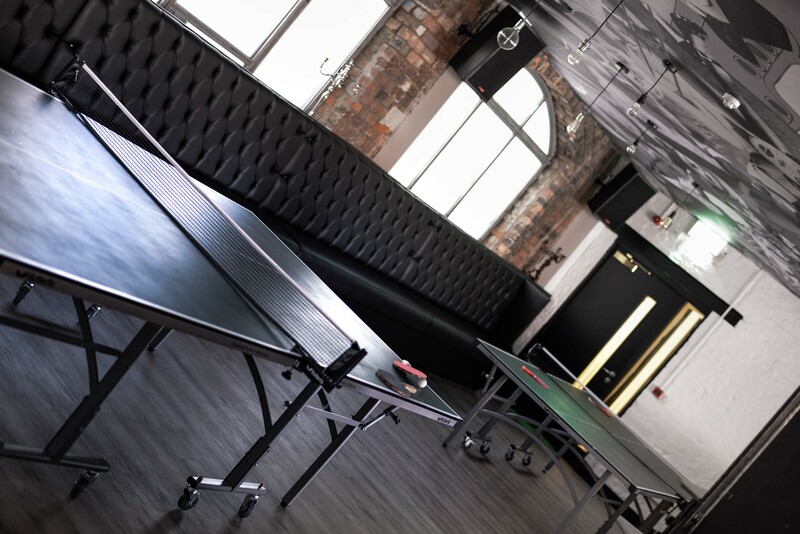 Enjoy the amazing movie themed surroundings as you tuck into a wide range of freshly cooked pizzas and jumbo hot dogs or for something different, why not test your skill at table tennis? For weekend stays this offer is £20pp for Fridays and £35pp on Saturdays. 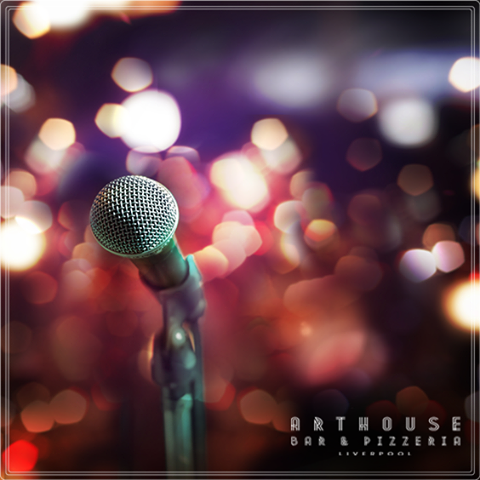 Arthouse Hotel is tucked away behind the best bars and restaurants in Liverpool. You’ll be right in the heart of the city, with just the right amount of quiet. 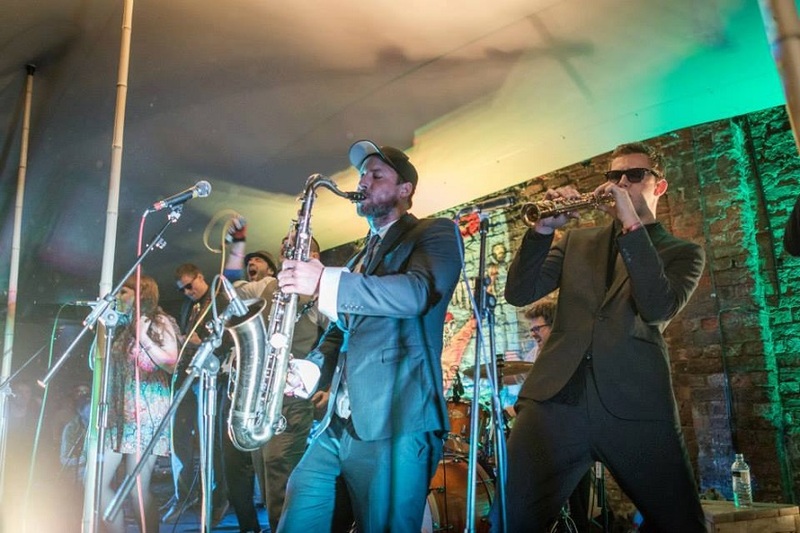 Everything you could wish for is right on your doorstep, from leading nightlife spot Seel Street to independent shopping and dining hub Bold Street. Many of the most famous landmarks in Liverpool are only a short walk from Arthouse Hotel, so you can explore everything from the Anglican Cathedral to the infamous St Luke’s ‘Bombed Out’ Church. Everyone has heard of Andy Warhol as the artist and father of popular culture, but what you might not know is he also directed several remarkable films. Now considered avant-garde cinema classics, Warhol’s repertoire stretches over 60 films, 2000 videos and 500 short black and white ‘screen test’ portraits of his friends and ‘muses’. Warhol was celebrated throughout the art world as an innovator. He masterfully mixed artistic expression with celebrity lifestyle and corporate advertising to create iconic prints and paintings of American popular culture such as Campbell’s soup tins and Coca-Cola bottles. He was also renowned for his portrait collection which feature vivid depictions of Marilyn Monroe, Jackie Kennedy, Elvis Presley and many more. His vast body of work, controversial themes and ability to work across a wide range of media has made him one of the most well-known artists in the world. More than twenty years after his death, Andy Warhol remains one of the most influential figures in contemporary art and culture. Andy Warhol was a leading painter, film-maker, author and the principal figure in the Pop Art movement. Born Andrew Warhola, he grew up in Pittsburgh, Pennsylvania with his parents who were Slovakian immigrants. His father, Ondrej Warhola, was a construction worker, while his mother, Julia Warhola, was an embroiderer. They were devout Byzantine Catholics who maintained much of their Slovakian culture and heritage while living in one of Pittsburgh’s Eastern European ethnic enclaves. His mother was a casual artist and encouraged Andy’s artistic urges by giving him his first camera when he was just nine years old. Whilst growing up Warhol was known to suffer from a nervous disorder that would force him to stay at home for long periods of time, during these spells he would listen to the radio and collect pictures of movie stars. 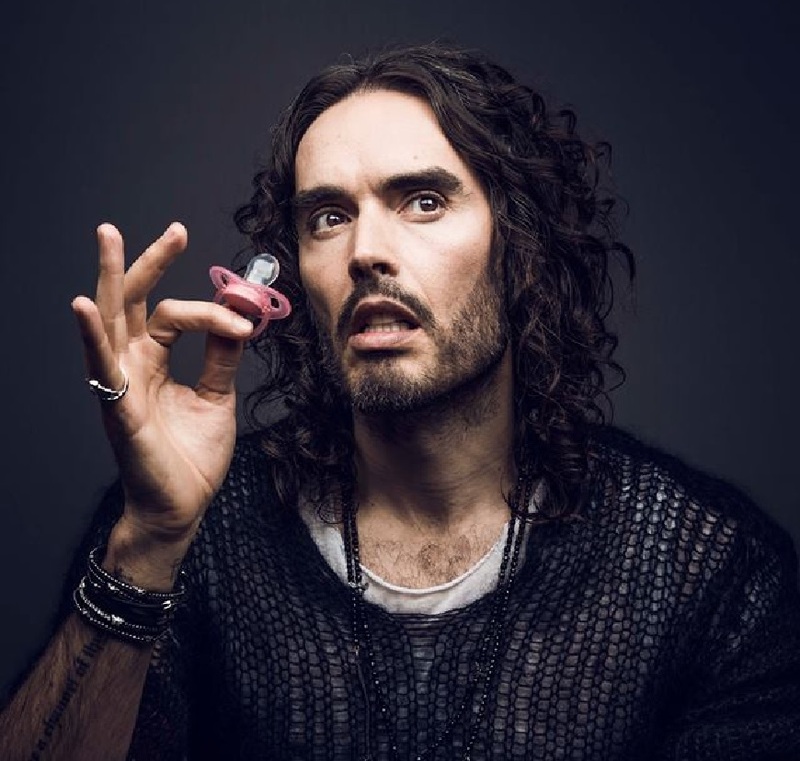 It was this exposure to current events at a young age that he later said shaped his obsession with pop culture and celebrities. After completing his pictorial design course at the Carnegie Institute of Technology, Andy Warhola moved to New York City in 1949 and changed his name to Warhol. He initially pursued a successful career as a commercial illustrator for a range of magazines, designed advertising and dressed window displays. However, after exhibiting his experimental artwork in several galleries in the late 1950’s, Warhol began to receive recognition as both an influential and controversial artist. In 1952, he exhibited ‘Fifteen Drawings Based on the Writings of Truman Capote’ in his first individual show at the Hugo Gallery in New York. In 1961, he debuted the concept of “pop art”—paintings that focused on mass-produced commercial goods. These featured the now-iconic paintings of Campbell’s soup cans, which created a major stir in the art world. 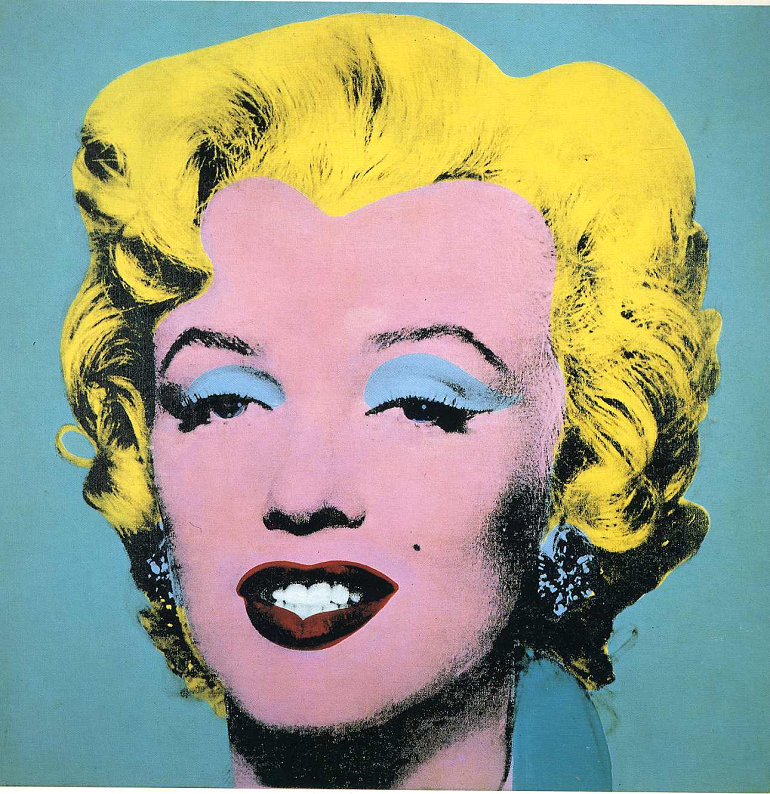 It was this that brought both Warhol and pop art into the national spotlight for the first time. He went on to produce a series of portraits which quickly gained fame and notoriety and he began to receive hundreds of commissions for portraits from socialites and celebrities. From this moment his career took off, and he never looked back. Between 1963 and 1968, Warhol began dedicating most of his time to directing films. Working from his unique silver and foil-draped studio nicknamed The Factory, located at 231 East 47th Street, Warhol embraced this new world of the moving picture. The Factory quickly became one of New York City’s premier cultural hot spots, a scene of lavish parties attended by the city’s wealthiest socialites and celebrities. It was a meeting place for young artists, actors, musicians, intellectuals, playwrights and the perfect place for Warhol to capture the scenes he needed. Many of Warhol’s circle of friends feature in his films and videos such as Jack Smith, Jill Johnson, Allen Ginsberg, Gregory Corso, Edie Sedgwick, Nico, Gerard Malanga and Taylor Mead. It was during this time that Warhol famously prophesied that; “everyone will be world-famous for 15 minutes.” A prediction that has been realised today through reality TV shows that give everyday people the chance to be famous for at least 15 minutes. This theme is particularly poignant in our time, so much so that one of the luxury suites in the Arthouse Hotel has been dedicated to this iconic statement. His films have been highly regarded for their radical expressions and vast separation from conventional cinema. With works such as Eat (1964), a 45 minute depiction of a man eating mushrooms, Empire (1964), his notorious eight-hour film of the Empire State Building, My Hustler (1965), a social comedy about gay life on Fire Island, and Kiss (1964), a 50 minute film made up of various clips of couples kissing, Warhol redefined the film-going experience for a wide range of audiences and attracted serious critical attention and publicity. One of his most famous films, Sleep, was released in 1963 with a running time of 521 minutes and consists of long take footage that shows Warhol’s friend John Giorno sleeping. To make the film, Warhol combined 22 shots, during each of which he homed in on different parts of Giorno’s body which creates a film based around the themes of obsession and the fascination of the observer. But perhaps the most commercially successful movie he directed was Chelsea Girls, a classic which depicts the lives of young socialites living at the Chelsea Hotel in New York. The cast featured a whos-who of the select social circle Warhol referred to as ‘Superstars’, a group of people he used as muses for his artistic endeavours. The film was highly innovative in that it consisted of two 16 mm-films being projected simultaneously, with two different stories shown in tandem. From the projection booth, the sound would be raised for one film to elucidate that “story” while it was lowered for the other. The film was highly innovative in that it consisted of two 16 mm-films being projected simultaneously, with two different stories shown in tandem. From the projection booth, the sound would be raised for one film to elucidate that “story” while it was lowered for the other. In 1968 Warhol’s thriving career almost ended. He was shot and seriously injured by Valerie Solanas, an aspiring writer and radical feminist, on June 3. Solanas had appeared in one of Warhol’s films and was reportedly upset with him over his refusal to use a script she had written. After the shooting, Solanas was arrested and later pleaded guilty to the crime. Warhol spent weeks in a New York hospital recovering from his injuries and underwent several subsequent surgeries. As a result of the injuries he sustained, he had to wear a surgical corset for the rest of his life. This seriously affected Warhol and his ability to produce the art he wanted to, subsequently he became a very reclusive person and gave up his personal involvement in filmmaking altogether. This responsibility was given to Paul Morrissey, his assistant director. Morrissey steered the Warhol-branded cinema towards more mainstream, narrative-based movie themes with Flesh, Trash, and Heat. All of these films, including the later Andy Warhol’s Dracula and Andy Warhol’s Frankenstein, were far more mainstream than anything Warhol as a director had attempted. In his later life, Warhol suffered from chronic issues with his gall bladder. On February 20, 1987, he was admitted to New York Hospital where his gall bladder was successfully removed and he seemed to be recovering. However, days later he suffered complications that resulted in a sudden cardiac arrest and he died on February 22, 1987 at the age of 58. At the Arthouse Hotel we recognise the importance of great film and cinema, so we’ve styled our unique hotel around the most classic and iconic films of our time and one of our favourite avant-garde stars of all time is, of course, Andy Warhol. You will find an entire floor dedicated to this legendary pop artist, with suites based on his famous films Chelsea Girls, Empire and Kiss, a special homage to his famous 15 minutes of fame quote and rooms that showcase the stunning pop art collection including the Marilyn portraits and the Mona Lisa. With deluxe interior features, luxury beds, rich crushed velvet covers and glistening whirlpool baths, you’ll soon feel right at home, with a sprinkle of extra movie magic! 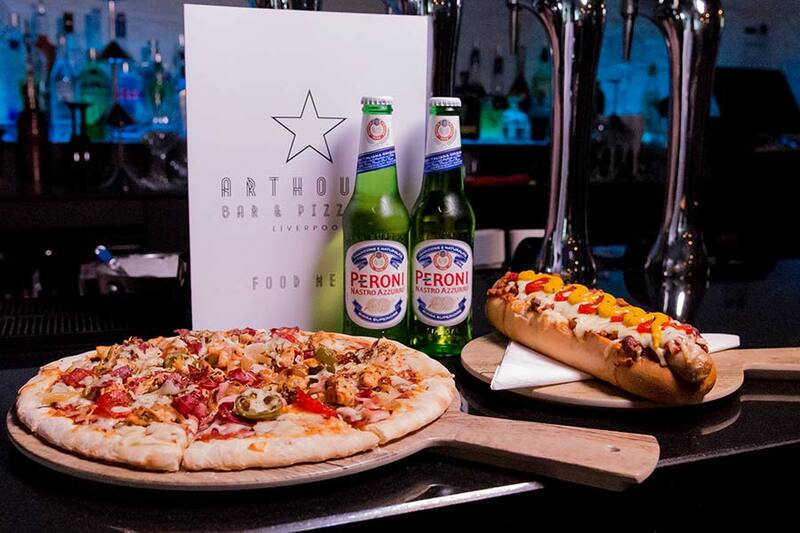 The hotel also features its own film-themed pizzeria and bar that is decorated with screening snippets of movie masterpieces on the walls, the Arthouse Hotel is the perfect treat for any film fanatic. 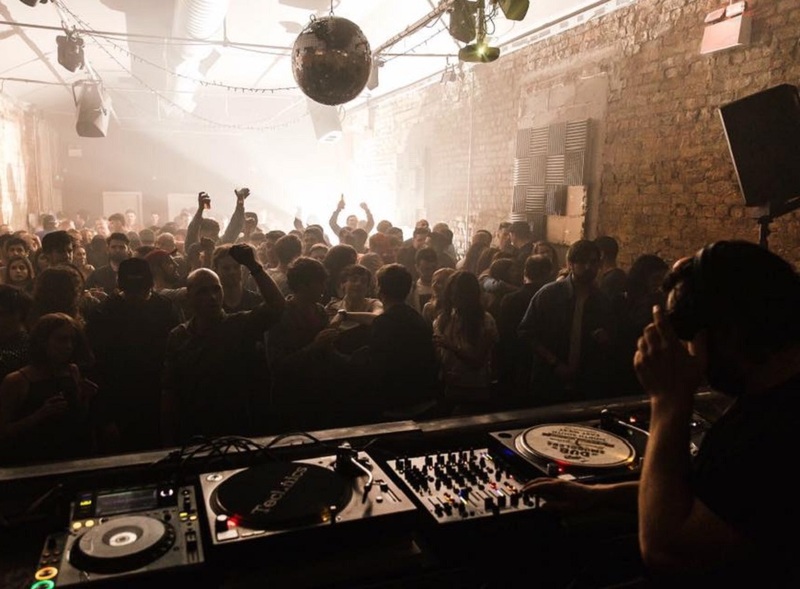 Located in the heart of Liverpool’s most exciting nightlife district, a stay at Arthouse hotel will give you and your party a memorable experience of Liverpool you won’t find anywhere else.